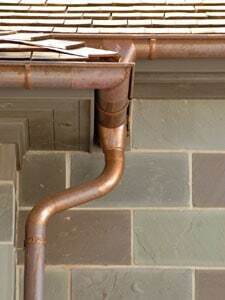 Thinking about buying copper gutters? 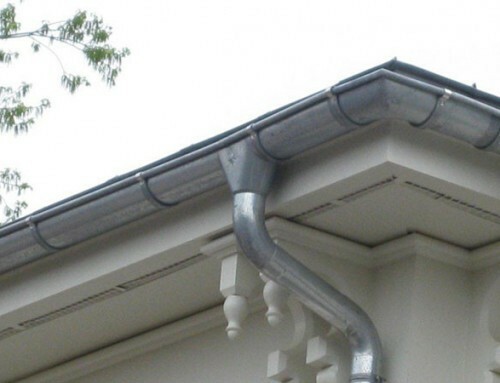 One of the most important decisions a home owner or builder will need to make when planning a new roof or home construction is the type of rainwater gutter system to use. Aluminum gutters tend to be a popular choice because of the low cost and ease of installation, however, they don’t offer the quality and elegance of copper or zinc. In the end, saving a little money by installing cheap gutters may not be the ideal solution if your goal is to have a system that’s durable, low-maintenance and adds lasting value to your home. Once you decide on copper gutters, it’s important to know a few things before making your purchase. 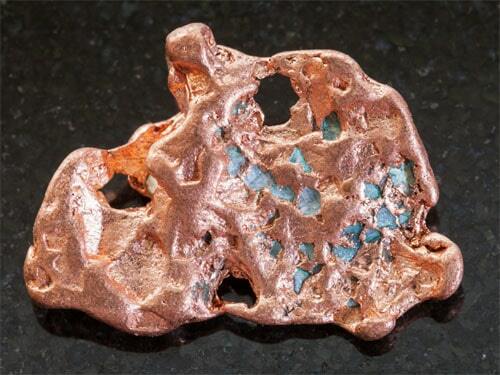 Not all copper gutters are created equal. Some of the cheaper versions can be found from local, on-site fabricators, but these are often made with thinner sheets because of the machining that is used. While this may require less time and cost, it doesn’t usually result in the quality that one would expect from a copper gutter system. Thinner sheets don’t offer the strength and long-lasting durability that you need. That’s why it is highly recommended to buy your gutter system from a manufacturer that produces a heavier weight product from a copper gutter facility. The slight extra time and cost will be well worth it in the long run. What style of gutter to get? You will basically have two choices; the K-Style or the Half-Round. So, which one is better? This will again depend on whether you are interested in saving money up-front or in the long term. The half-round gutter will cost more up front but it delivers a lower maintenance, longer life and better aesthetic value over the life of your home. Another important consideration is performance. Euro style gutters, such as EurogutterUSA, are known for their ability to drain huge volumes of water while still protecting the fascia and walls. They are slightly bigger and heavier that other styles but offer tremendous protection from heavy rain. Getting the right gutter parts and accessories. Aside from the actual gutter itself, there are other important components to a gutter system that help drain the water safely away from your home. One of these components is the downspout, which is the part that’s between the gutter and the drain pipes. 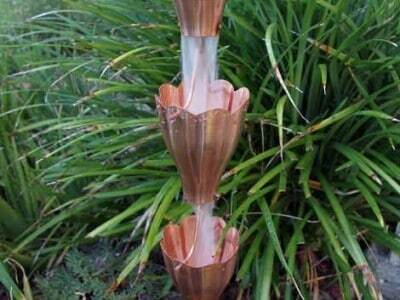 Downspouts can be found it two different forms; with seams and without seams. The benefit of seamless downspouts is that they will hold up much better in severe conditions because hot and cold conditions have a tendency to make seams expand and contract. Again, a little more investment up front will save you money down the road. 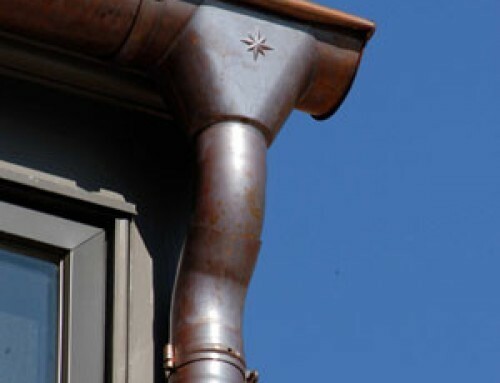 There are a number of other accessories you can consider when purchasing a new zinc or copper gutter system. 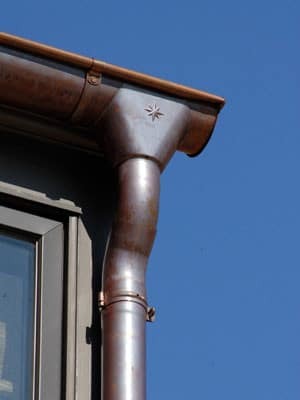 While nearly all accessories serve an important function, many of these accessories also provide an additional aesthetic quality to further enhance the look of your copper gutters. A few of these extras would include items such as leader heads, downspout straps and mounting brackets. A proper installation is key. 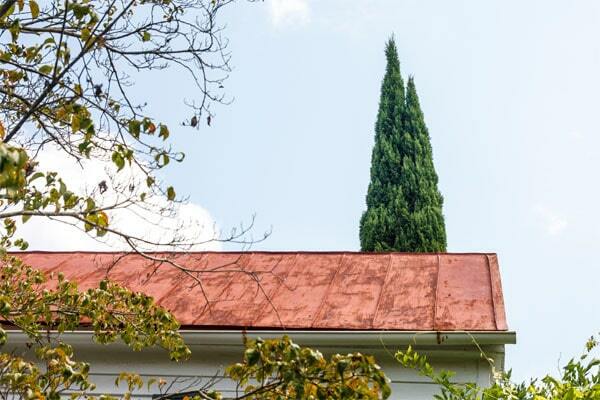 When installing a copper roofing system, it’s highly recommended to use a company that either specializes in or has a lot of experience in working with copper. If you’re in construction, there are many guides available to give you tips and demonstrate proper techniques. Copper is a special metal and needs to be treated as such, but if the installation is done well your gutter system can easily last for the life of your home. 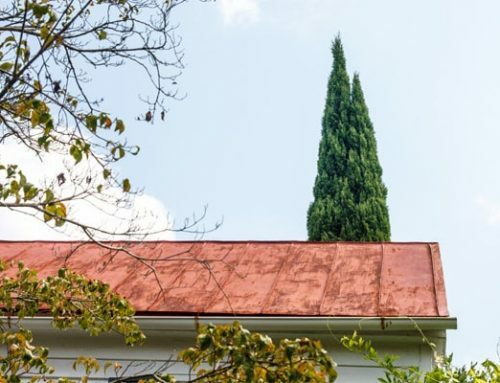 For more information on copper gutters and installation, contact Kobett Metals in San Jose, CA – one of the leading copper roofing companies on the west coast. I think I like the K-style a little bit better than the Half-Round. My wife and I have been thinking about replacing our gutters because there are some holes in them that are leaking water. I’ll have to consider your tips as we do a little more research on it! The gutters on my home are leaking, and I want to get new ones. Your had great tips for installing gutters, and I liked that you said to consider seamless downspouts, as they will hold up much better in severe conditions. Thanks; I’ll keep this in mind when choosing gutters.